A police officer from Texas who gave a homeless man a dog faeces sandwich has had his dismissal overturned because of a technicality. 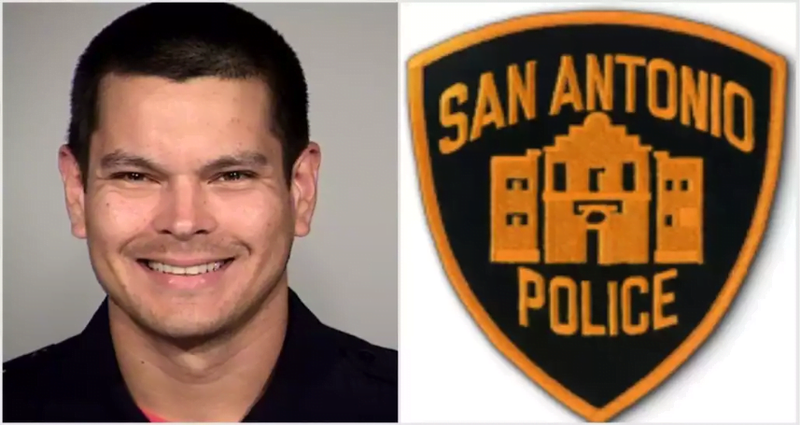 San Antonio bicycle patrol officer Matthew Luckhurst won his appeal to have his termination reversed based on a technicality in the law which states that law enforcement cannot discipline an officer for misconduct which occurred more than 180 days ago. Luckhurst was fired back in October 2016 following the incident on the 6th May 2016 which occurred while he was on bicycle patrol tasked with removing loitering individuals from a car park. While Luckhurst and two other officers ordered people to vacate the premises, he noticed a dog faeces and a single slice of bread. Luckhurst claims that in order to avoid stepping in the dog faeces, he picked it up using the slice of bread and placed it into a discarded food container. He then left the food container “in close proximity” to a homeless man who had not yet left the car park. The man picked up the container but immediately threw it onto the ground once he smelled it. Another officer who was present told him, “You can’t be doing that. You have to go pick that up”. The officer then stated that Luckhurst cycled back to the car park and claimed to have thrown the container away. Luckhurst was dismissed on the 28th of October 2016 which was within the 180 day limit if we assume the incident occurred on the 6th of May as initially suggested. However medical records showed that Luckhurst was on light duty from the 6th of April 2016 until the 14th of June 2016 due to an injury sustained at a martial arts class. Therefore, the incident could not have occurred in May. Witnesses and other officers gave conflicting dates in their testimonies which led investigators to believe the incident actually occurred over 180 days prior to his dismissal. According to the report, the Internal Affairs investigators “had (the) ability to corroborate testimony by means of having the videotape [body cam footage] preserved and reviewed” but did not do so in time. While Luckhurst’s dismissal may have been overturned for this particular incident, he still remains dismissed as a result of another faecal related crime. A month after the sandwich incident, Luckhurst allegedly defecated in the women’s bathroom and deliberately didn’t flush. He and another male officer then proceeded to spread a brown substance on the toilet seat to give the impression that there was faeces on the seat. Luckhurst then went on to boast about his actions which seemed to be in response to a female officer who requested that the women’s bathroom be kept clean. Luckhurst is also appealing this suspension, claiming that it was just a prank that spiralled out of control. It is still unclear whether he will be reinstated as an officer.